The seed products of Carica papaya have been proven as potential male contraceptives in laboratory animals. In this study, chromosomal aberrations were investigated in spermatogonia of albino rats and rabbits, following oral administration of Methanol Sub-Fraction (MSF) of Carica papaya seeds. The experimental animals were divided into three groups, each group had 5 male Wistar rats and rabbits. In the first group, double distilled water served as negative control. The second group received monomeric acrylamide at 72.5 mg kg-1 body weight; two doses with a gap of 3 h served as positive control and in the third group, the MSF was orally administered at 500 mg kg-1 body weight (10 x contraceptive dose; CD); two doses with a gap of 3 h. The chromosomal fragments, dicentrics, rings, exchanges, damaged chromosomes and total chromosomal aberrations in MSF treated rats and rabbits were not significantly different when compared with negative control animals, however, were found to be reduced significantly (p<0.001) when compared with positive control group. The results suggested that the MSF did not induce chromosomal aberrations. Several efforts have been put forward for a plant based fertility regulating agent. The main advantages in developing a fertility regulating agent from a plant source are that rural people have familiarity with herbal medicines, the fewer side effects associated with herbal preparations, their ready availability from local sources and protection of privacy (Chaudhury, 1993). Gossypol, Tripterygium wilfordii and Ecballium elaterium were major plants in this direction. However, for various reasons none of these lead into an ideal male contraceptive (Ansari et al., 2008). Investigations for the past two decades identified the seeds of Carica papaya as a potent male contraceptive. Preclinical investigations in langur monkeys revealed that the chloroform extract induced azoospermia after 90 days of treatment that continued until the 360 days study period (Lohiya et al., 2002, 2005). The benzene chromatographic fraction found to be more effective in inducing total inhibition of sperm motility in rats after 60 days of treatment (Pathak et al., 2000; Manivannan et al., 2004). Benzene chromatographic fraction found to induce total sperm motility inhibition in langur monkeys without serious effects on sperm concentration (Lohiya et al., 2008). The Methanol Sub-fraction (MSF) of benzene chromatographic fraction of chloroform extract of the seeds of Carica papaya showed motility inhibition properties in rats following 30 days of treatment and azoospermia in rabbits within 15 days of treatment (Lohiya et al., 2001). Preclinical toxicological investigations carried so far with MSF, following a single high dose administration, indicated no associated health hazards. Daily administration of MSF upto 10 times of CD for a period of 28 and 90 days and 52 weeks did not cause adverse health effects (Lohiya et al., 2006; Goyal et al., 2010). No gross pathological effects and neoplastic lesions in vital organs were observed following life term treatment of MSF (Goyal et al., 2009). The mechanism of contraception has been demonstrated by its effect on spermatid differentiation in the testis, possibly mediated by the Sertoli cell factors (Manivannan et al., 2009). The MSF at the contraceptive dose regimen exerted no developmental toxicity and teratogenicity, which could affect pregnancy, implantation and gestation (unpublished observation). The objective of present investigation was to explore association of chromosomal aberrations, with MSF treatment in rats and rabbits, to facilitate initiation of clinical trials. Animals: Adult Wistar male albino rats (Rattus norvegicus), of 3-4 months old and adult New Zealand white rabbits (Oryctolagus cuniculus) of 6 months old, were used in the present investigation in the year 2007. The rats were weighing between 150 and 180 g and rabbits between 1.5 to 2.0 kg. The animals were maintained in the Departmental Animal House Facility with 12:12 h light and dark schedule. Rats were housed in polypropylene cages (size 15x9x6) and rabbits were kept in individual metallic cages (size 16x18x15), fed with pellet diet (M/s Ashirwad Industries Limited, Chandigarh, India) and provided free access to safe drinking water. The animals were given extensive care and kept under veterinary supervision and the Guidelines for Care and Use of Animals in Scientific Research of the Indian National Science Academy, New Delhi (INSA, 2000) were strictly followed. The experimental protocol has the approval of the Institutional Ethical Committee. Test material: The seeds of Carica papaya L. (family: Caricaceae, Voucher No. RUBL 16590) of pure honey dew variety were obtained commercially, shade dried and powdered. The powdered material was reflexed in chloroform for 12x3 h at 58-60°C. The resultant chloroform extract was subjected to silica gel column chromatography (60-120 mesh) and eluted with benzene. The benzene chromatographic fraction of the chloroform extract was concentrated under reduced pressure and sub-fractionated with methanol and termed as methanol sub-fraction. Characterization of the Carica papaya seed products through 1H-NMR, IR, Mass Spectra (E1/C1/FAB) and Gas Chromatography revealed several sub-components and appeared to be a mixture of compounds. Spectral data showed evidences of; long chain fatty alcohols, long chain ester, glycerides of unsaturated fatty acids and long chain unsaturated acids. Based on the available evidences, the most probable fatty acids could be saturated myristic acid with molecular formula (CH3 [CH2]12COOH), palmitic acid with molecular formula (CH3 [CH2]14COOH) and stearic acid with molecular formula (CH3 [CH2]16COOH). Further purification through analytical HPLC using the solvent system acetonitrile: tetrahydrofuran: methanol: water in 45:5:35:15 ratio resulted into an inhomogeneous mixture of several compounds (Ansari et al., 2011). The MSF has been investigated for its genotoxicity, as an Investigational New Drug (IND), in the present investigation. Preparation of slides for chromosomal aberration: After 24 h of treatment, animals were intraperitoneally injected with colchicine at the dose of 4 mg kg-1 body weight, 3-4 h prior to sacrification. Following sacrification testes were excised immediately and tunica was removed. The seminiferous tubules were finely minced in Phosphate Buffer Saline (PBS) and tissue fragments were washed with PBS and digested with 0.1% trypsin at 37°C for 15-20 min. Supernatant was withdrawn and placed in a test tube containing fetal calf serum in an ice bath (5-10 min) and slides were prepared for evaluation of chromosomal aberrations in spermatogonia (Evans et al., 1964). The slides were mounted in DPX and observed under a phase contrast microscope (Model: Optiphot, Nikon, Japan) using x 100 oil immersion objective lens. One hundred well spreaded metaphases were observed from each animal for identification of chromosomal aberrations, viz., fragments, rings, dicentrics, exchanges, damaged chromosomes in all the control and treated animals, to establish a possible cytotoxic effect. 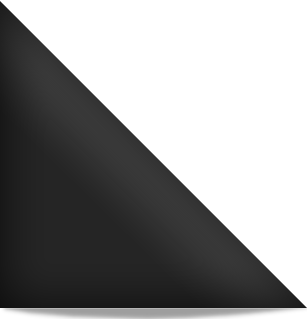 Statistical analysis: Values were represented as Mean±Standard Deviation (SD). One-way Analysis of Variance (ANOVA) was employed for statistical comparison. The difference between means was analyzed by Holm-Sidak multiple comparison test to detect the inter-group difference by using the statistical software SPSS version 10.0 (SPSS Inc., Chicago, IL, USA). The p-value less than 0.05 was considered as significant. The chromosomal fragments, dicentrics, rings, exchanges, damaged chromosomes and total chromosomal aberrations in Group III (MSF treated) rats (Fig. 1a-d) and rabbits (Fig. 2a-d) were not significantly different when compared with Group I (negative control) and found to be reduced significantly (p<0.001) when compared with Group II (positive control; acrylamide treated). Total chromosomal aberrations in rats were 4.2±0.83% in Group I, 36.4±3.04% in Group II and 4.4±0.89% in Group III. In rabbits, total chromosomal aberrations were 3.8±0.83% in Group I, 37.2±1.09% in Group II and 3.4±0.54% in Group III (Table 1). Anacardium occidentale used as popular medicine to treat ulcers, hypertension and diarrhoea, showed frameshift, base pair substitution and damage to the chromosomes in mice (Konan et al., 2007). Paulinia cupana (Guarana), used as stimulant, aphrodisiac, tonic, as well as protectors of the gastrointestinal tract. The aqueous suspension of Paulinia cupana (Guarana) caused significant changes in the frequency of micronuclei in the femoral cells and induced testicular chromosomal aberrations in mice (Al-Majed, 2006). Austroplenckia populnea is used as antimicrobial, anti-inflammatory and antitumoural agent. It was found clastogenic and induced a dose related significant increase in the chromosomal aberrations and micronucleated polychromatic erythrocytes in the bone marrow cells of Wistar rats (Zanoni et al., 2005). Neem (Azadirachta indica) has various biological activities, viz., anti-inflammatory, spermicidal, antifungal, antibacterial, antimalarial, etc. 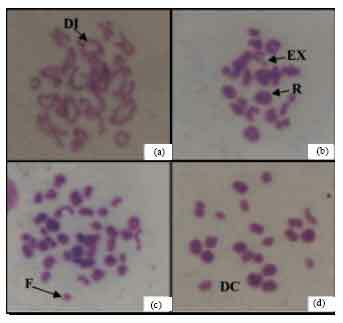 Administration of crude ethanolic extract of leaves of neem to adult male mice increased the incidences of structural changes and synaptic-disturbances in meiotic chromosomes and also caused disruptions of meiosis (Awasthy, 2001). In contrast to the above observations, the MSF did not induce chromosomal aberrations, i.e., (fragments, dicentrics, rings, exchanges, damaged chromosomes) in the present study. The findings of the present investigation have demonstrated that the MSF did not induce chromosomal aberrations in spermatogonial cells of rats and rabbits. Thus, it is concluded that MSF is free of genotoxicity and safe for long-term use as a male contraceptive formulation. The investigation was supported by the Indian Council of Medical Research, New Delhi. The authors are grateful to the Head/Coordinator, Centre for Advanced Studies (CAS), Department of Zoology, University of Rajasthan, Jaipur for providing infrastructural facilities. Al-Majed, A.A., 2006. Genetic and biochemical toxicity of guarana after sub-acute treatment in somatic and germ cells of swiss albino mice. Int. J. Pharmacol., 2: 226-232. Awasthy, K.S., 2001. 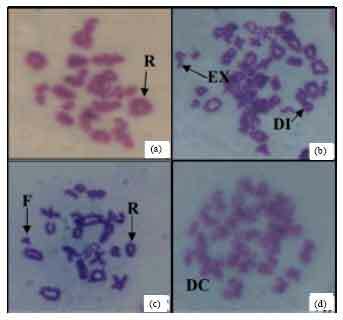 Genotoxicity of a crude leaf extract of neem in male germ cells of mice. Cytobios, 106: 151-164. Chaudhury, R.R., 1993. The quest for a herbal contraceptive. Natl. Med. J. India, 6: 199-201. Evans, E.P., G. Breckon and C.E. Ford, 1964. An air-drying method for meiotic preparations from mammalian testes. Cytogene. Cell Genet., 3: 289-294. INSA, 2000. Guidelines for Care and use of Animals in Scientific Research. Indian National Science Academy, New Delhi, India. Konan, N.A., E.M. Bacchia, N. Lincopan, S.D. Varelac and E.A. Varandac, 2007. Acute, subacute toxicity and genotoxic effects of a hydroethanolic extract of the Cashew (Anacardium occidentale L.). J. Ethnopharmacol., 110: 30-38. Lohiya, N.K., B. Manivannan, P.K. Mishra, N. Pathak, S. Sriram, S.S. Bhande and S. Panneerdoss, 2002. Chloroform extract of Carica papaya induces long-term reversible azoospermia in langur monkey. Asian J. Androl., 4: 17-26. Zanoni, F.D., S.F. de Andrade, J.K. Bastos and E.L. Maistro, 2005. Clastogenicity of the Austroplenckia populnea (celastraceae) bark wood extract in Wistar rat bone marrow cells. Cytologia, 70: 303-308.